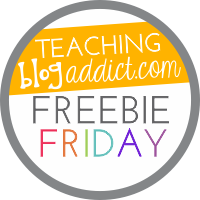 Teaching Blog Round Up: Pumpkin Math Freebies! It's that wonderful time of year again when the mornings are a little bit crisper, the trees are a rainbow of colors, and primary grade classrooms are all decked out with construction paper apples and pumpkins! Pumpkins mean pumpkin math ... weighing and measuring, comparing, graphing, the whole nine yards. Here's a little freebie to add to your pumpkin collection. Enjoy using this set of subtraction task cards! Will you be taking your class to the pumpkin patch this year? Check out this post for some ideas ... and another pumpkin math freebie! If you are a follower at my TpT store, be sure to check your TpT Inbox for another fall math freebie, a Followers' Exclusive! Not following yet? Stop by and click the star, so you'll be sure to get the next Followers' Freebie! Oh, The Things You Can Do With A Pool Noodle!